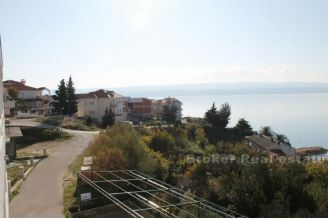 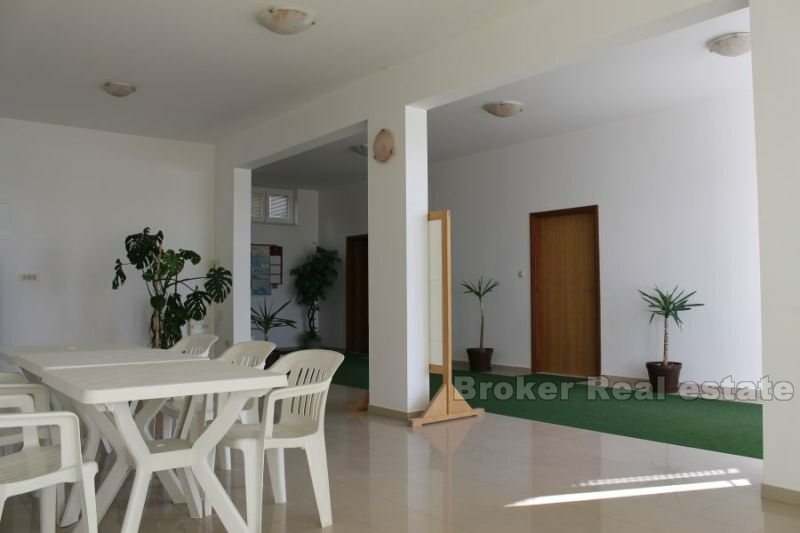 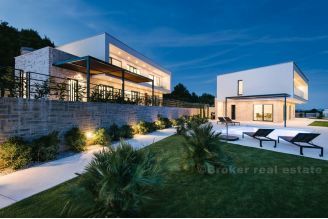 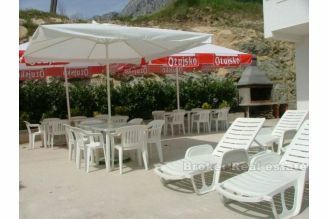 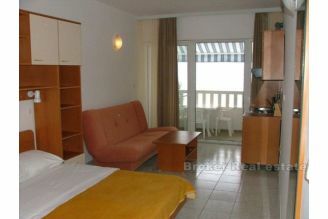 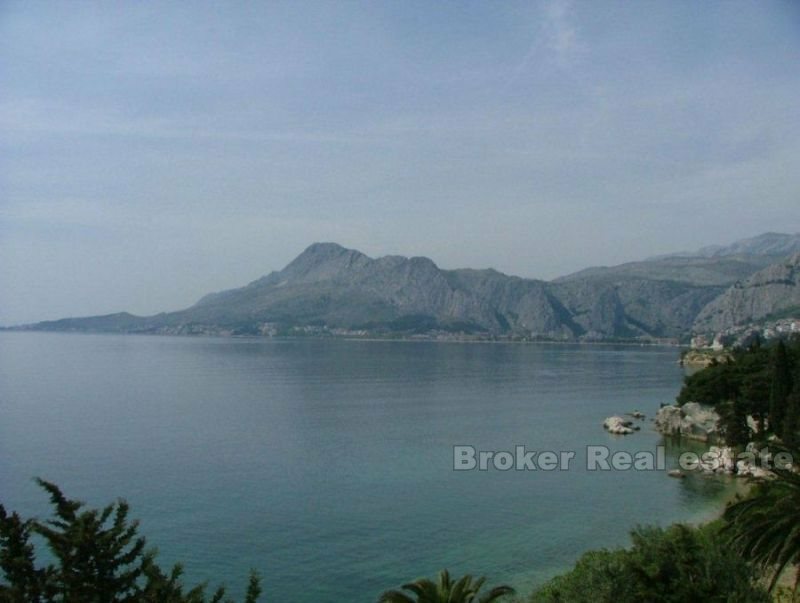 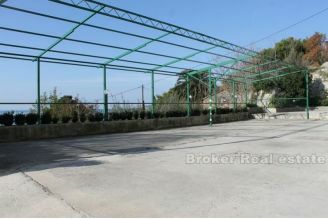 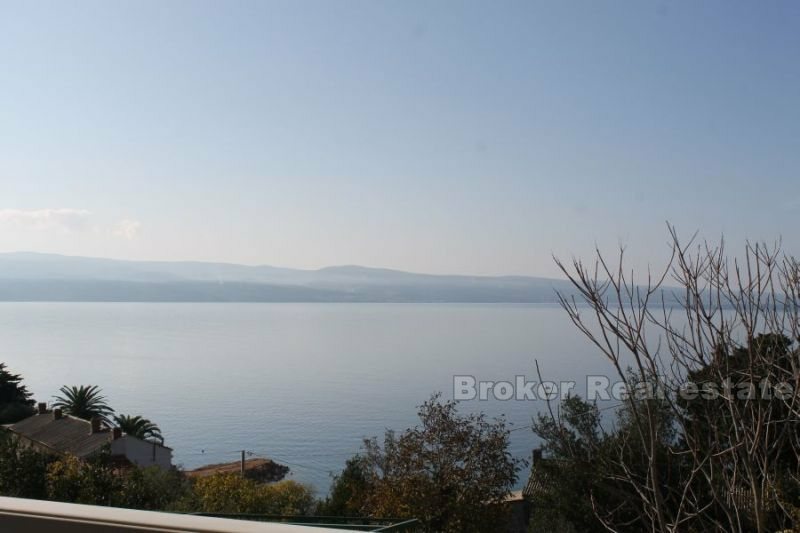 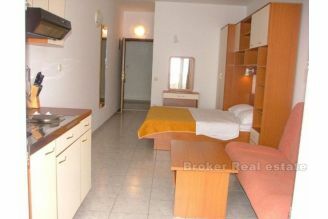 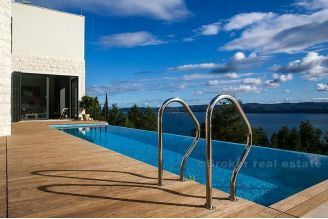 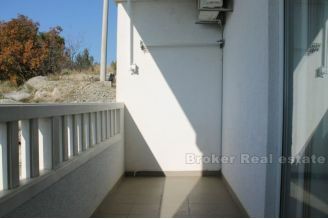 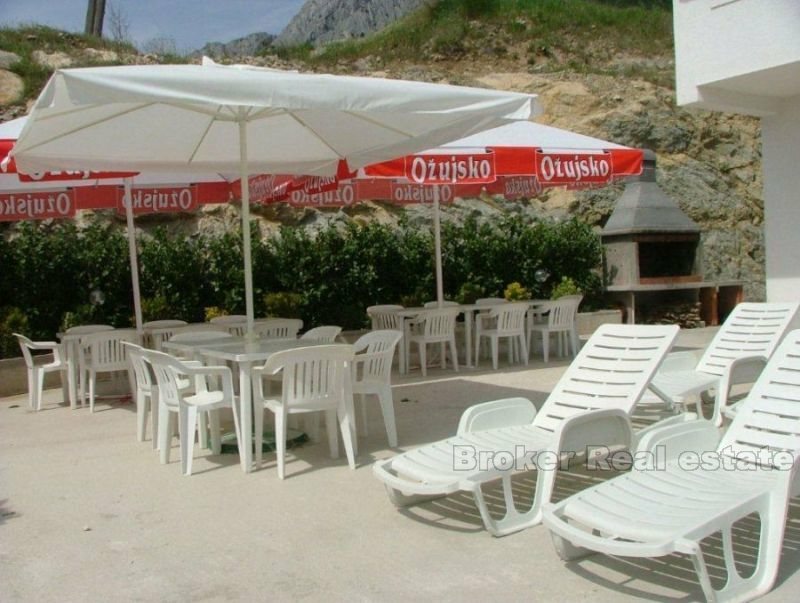 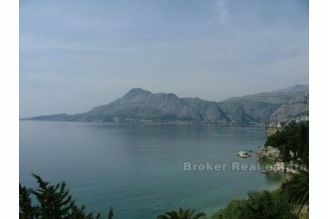 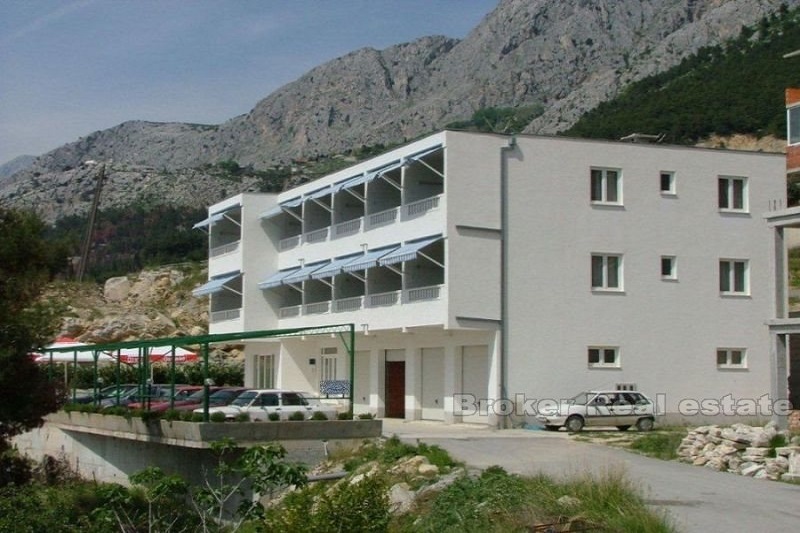 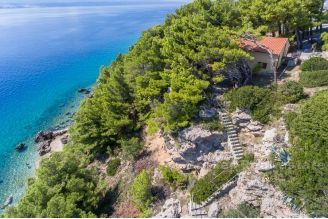 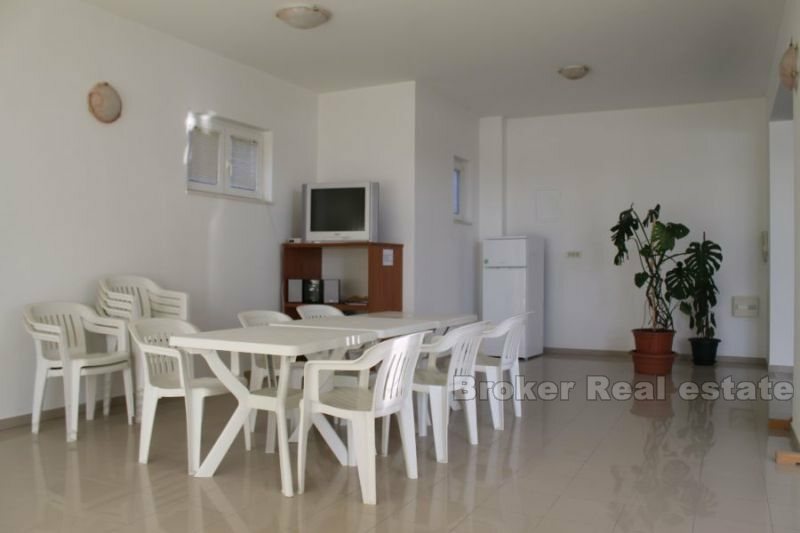 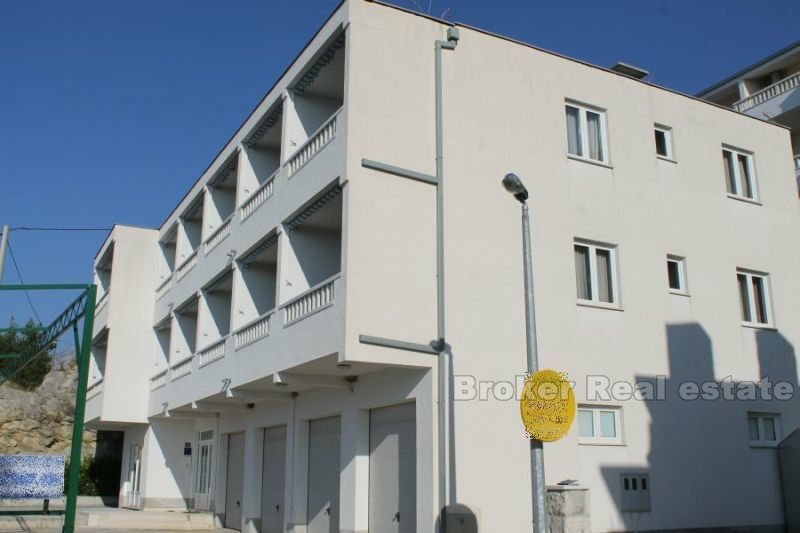 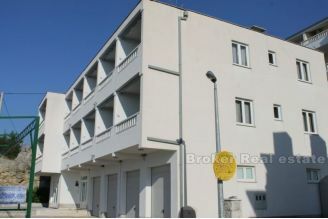 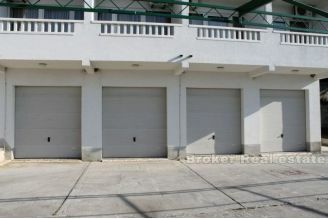 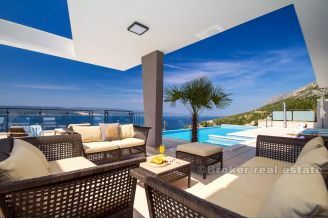 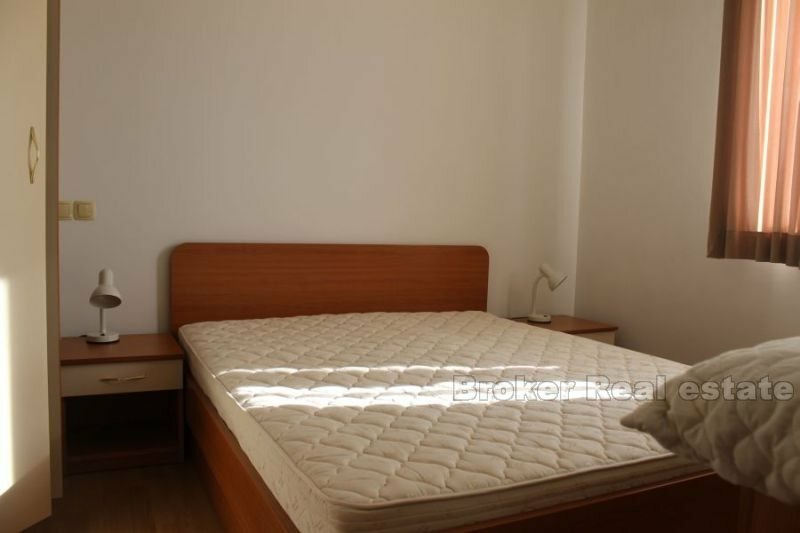 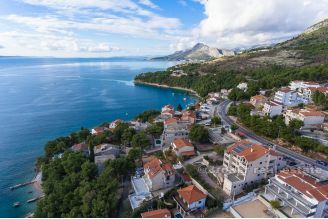 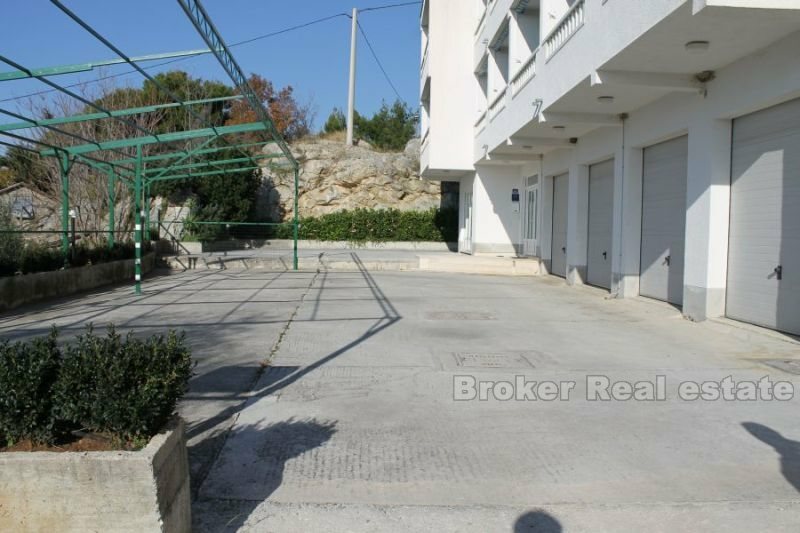 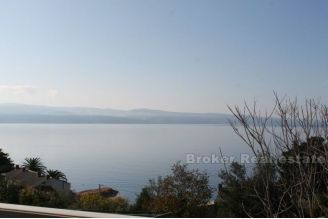 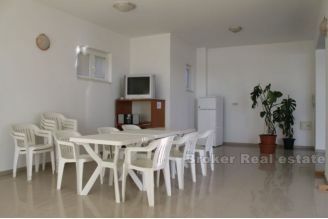 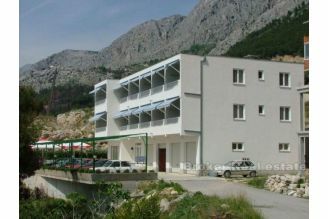 Apartment house with two floors near Omis, total area of 481 m2, of which 227 m2 is residential. 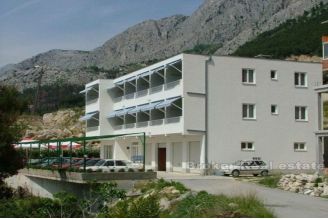 The house consists of 12 apartments, of which 4 are apartments with 4 beds (2 + 2), and 8 suites with three beds (2 + 1). 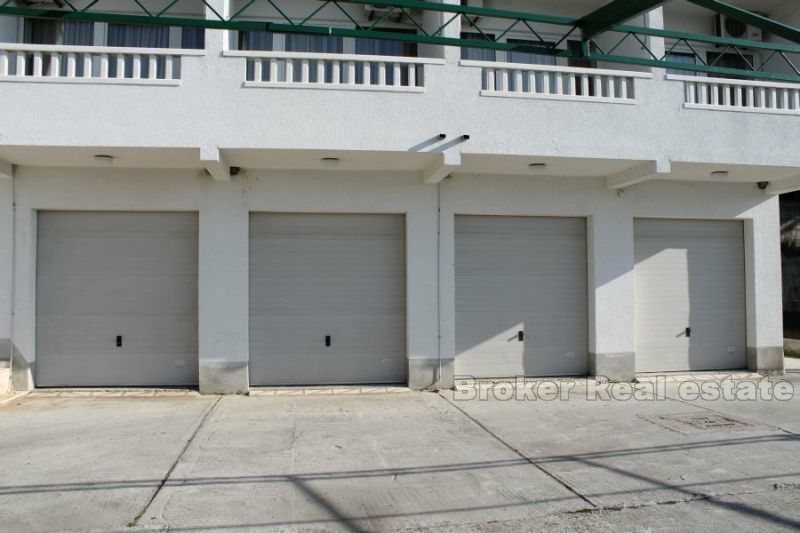 On the ground floor there are 4 garages with 7 parking spaces, while there are 7 outdoor parking spaces in front of the house. 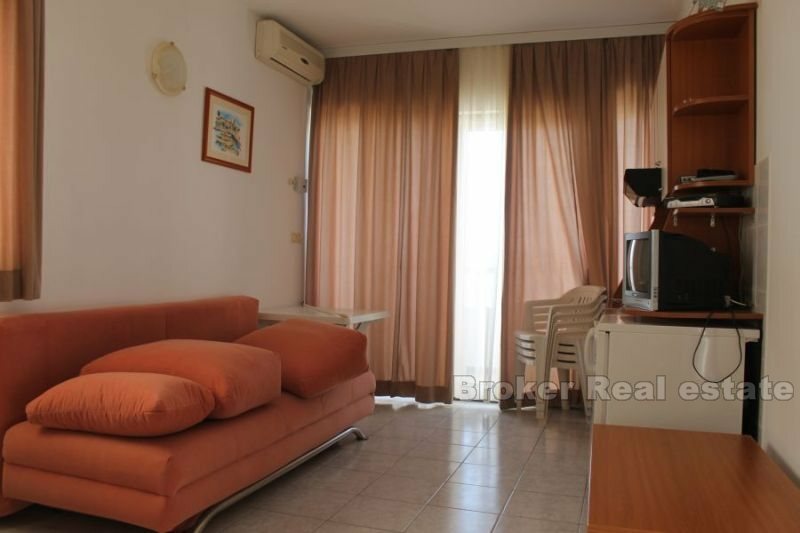 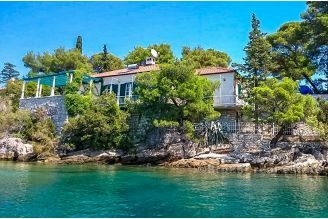 All apartments are north-south orientation, so everyone has access to a separate balcony overlooking the sea from which are about a hundred meters away. 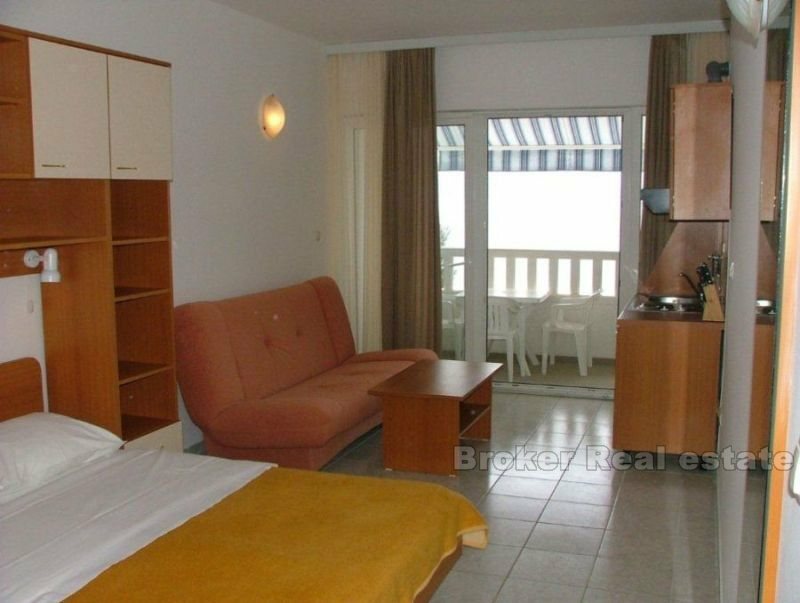 All apartment units are similarly constructed and consist of a bedroom, a kitchen, a living room, a bathroom and a balcony. 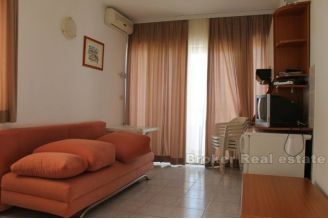 All apartments are fully furnished and equipped. On the ground floor there is a common room that serves as a reception, but can be converted into a restaurant offering space.